They came to us 6 years ago for a suit label, 1 ¼” x 2 ¾”. They have since 4 designs like the one picture below, to be used in suits and shirts for their mens clothing line. When it comes to well-fitting custom tailored clothing for men, Rob Butler has one purpose-minded committment – to develop and enhance your own personal style with unmatched one-on-one service. 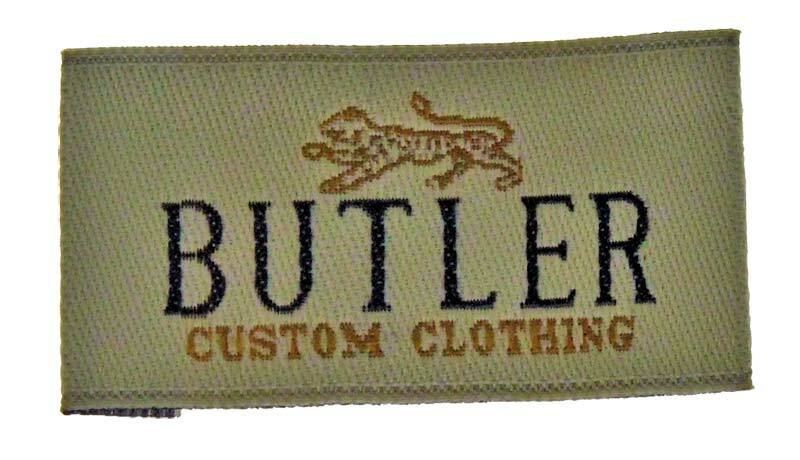 Our customer needed a suit and men t-shirt label for their custom line. 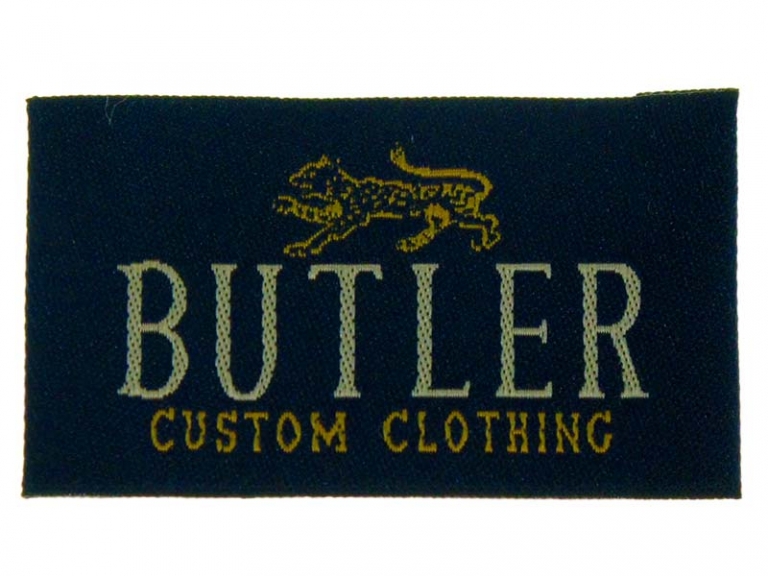 Their shirt labels are a small 1.5″ x 1.5″ and the suit labels are 1.5″x 3.5″. 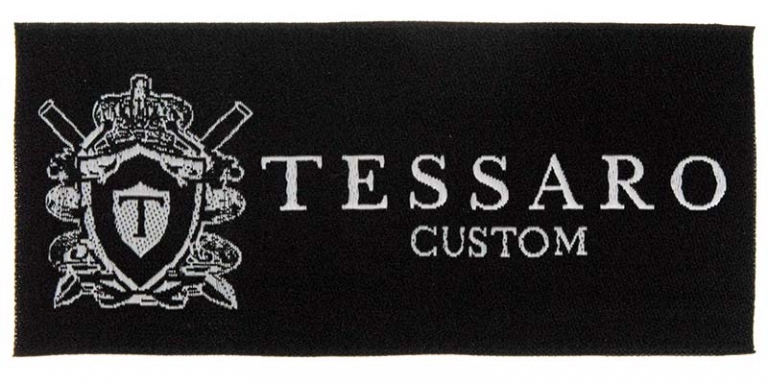 They really wanted the best we could give them, so a high definition damask label was their choice. 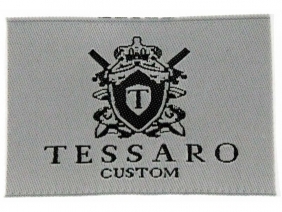 The products you will receive from Tessaro Custom are built with superior quality. From the interior construction to the exterior finishes, all aspects of our clothing are made with an attention to detail. Using only high quality fabrics, we construct your garments to feel as luxurious as you look in them.